We are deeply concerned by reports today that the Government of Israel has published tenders for 323 units in East Jerusalem settlements. This follows Monday’s announcement of plans for 770 units in the settlement of Gilo. We strongly oppose settlement activity, which is corrosive to the cause of peace. These steps by Israeli authorities are the latest examples of what appears to be a steady acceleration of settlement activity that is systematically undermining the prospects for a two-state solution …We are also concerned about recent increased demolitions of Palestinian structures in the West Bank and East Jerusalem, which reportedly have left dozens of Palestinians homeless, including children. More than 650 Palestinian structures have been demolished this year, with more Palestinian structures demolished in the West Bank and East Jerusalem thus far than in all of 2015. As the recent Quartet Report highlighted, this is part of an ongoing process of land seizures, settlement expansion, legalizations of outposts, and denial of Palestinian development that risk entrenching a one-state reality of perpetual occupation and conflict. We remain troubled that Israel continues this pattern of provocative and counterproductive action, which raises serious questions about Israel’s ultimate commitment to a peaceful, negotiated settlement with the Palestinians. (Recent Israeli Settlement Announcements, Press Statement, John Kirby, Assistant Secretary and Department Spokesperson, Bureau of Public Affairs, Washington, DC, July 27, 2016). 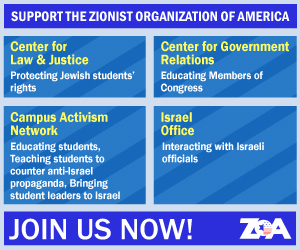 ZOA National President Morton A. Klein said, “We find Mr. Kirby’s statement to be false, outrageous, insulting and inconsistent with the way one ally speaks publicly of another, irrespective of whatever differences they might have on substantive issues. “The Obama Administration need not lose any sleep over the fidelity of Israel’s commitment to peace. It is rock solid, now and always, and has been demonstrated over the years by making concessions, including unilateral concessions, and taking risks beyond what prudence and the prevailing realities would counsel. 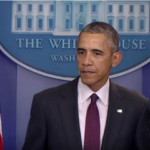 “I remind the Obama Administration that, in the years since the 1993 Oslo Accords, more Israelis were murdered by terrorists than in the entire 45 years of Israel’s existence that preceded the Accords as a result of the concessions it made to the PA –– and to whom the Obama Administration is urging Israel to make still more concessions, despite the fact that the PA remains an unreformed, terror-promoting and glorifying, anti-peace regime. “I also remind the Obama Administration that the present Israeli government accepted in-principle the idea of Palestinian statehood, subject to various conditions affecting borders and security, and also imposed a 10-month freeze on Jewish construction in Judea/Samaria –– a move rightly described at the time by then-Secretary of State Hilary Clinton as ‘unprecedented’ –– just to get the PA to attend negotiations. Well, they did for two meetings in the space of a single week. Otherwise, we have had more than seven years of the PA refusing even to come to the negotiating table. Mr. Kirby disgracefully ignores this while presenting bogus Israeli failings as a contributor to the lack of peace. In any future peace agreement worthy of the name in which a Palestinian state alongside Israel is genuinely peaceful, Jews should be able to live in a Palestinian state just as Palestinian Arabs live in Israel. “To mention Jewish residence in the territories at all as an obstacle –– or worse, as ‘corrosive’ –– to peace is factually incorrect, morally indefensible, politically dangerous and counter-productive. “Contrary to the oft-heard claim that it is a violation of international law for Israeli Jews to live in and build homes and communities in Judea/Samaria, the 1920 San Remo Conference which drafted the League of Nations Charter, specially earmarked the territory of what became the British Mandate of Palestine, which includes the territory of Judea/Samaria, for Jewish settlement. This international determination, enshrined in the British Mandate for Palestine that shortly followed, has never been superseded by an internationally binding agreement. To the contrary, it was reaffirmed by Article 80 of the UN Charter. “The 1947 United Nations General Assembly partition plan, accepted by the Jews but rejected by all Arab parties, could have served as the basis of a subsequent, binding agreement, but, though accepted by the Jews, it was rejected by all Arab parties. The British Mandate was thus partitioned by war, not agreement. The 1948 Jordanian seizure of the Judea/Samaria was illegal under international law and recognized only by Britain and Pakistan. Jordan was subsequently ejected from Judea/Samaria after attacking Israel in the 1967 Six Day War and whatever claim Jordan had cared to assert was explicitly renounced by King Hussein in 1988. That is why UN Security Council Resolution 242, passed after the 1967 war, does not brand Israel the aggressor, nor does it demand immediate, unconditional and total withdrawal by Israel. Israel is legally entitled to administer these territories until a peace agreement finalizes their status. “The territory, is thus, unallocated territory under international law and Israeli Jews, by moving there and building homes, are not illegally occupying the sovereign territory of another country. 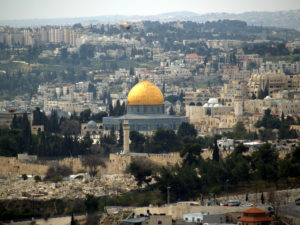 “The 1993 Oslo Accords were a binding agreement, but it does not prohibit Israeli residence and construction in these territories –– to the contrary, they provide for Israeli and Palestinian building in zones under their respective control and outlines explicitly the way Israel will continue to administer these Israeli communities. Jewish residential rights in Judea/Samaria thus remain unimpaired. “The Oslo Accords also list these communities as a final status issue, to be negotiated by the parties. The Middle East Quartet is mistaken, has no right, and does the cause of peace enormous damage, by falsely asserting that these Jewish communities are an obstacle to peace. “In this vein, it is worth remembering that the late Yitzhak Rabin, Prime Minister, signatory of the Oslo Accords and Nobel Peace Prize winner for concluding these Accords, specifically stated shortly before his death that the Jewish communities in the Judea/Samaria (and in Gaza – since dismantled) would continue to be developed. “The false claim that Jewish residence is illegal is a propagandist lie, usually based on a willful, false, flat-earth distortion of Article 49 of the Fourth Geneva Convention. “As Palestinians are being neither deported nor forcibly transferred from the West Bank and Israelis are neither being deported or forcibly transferred to the West Bank, Article 49 has no bearing on the situation. “It is morally indefensible for Mr. Kirby to assert, contrary to law and history, that Jewish communities in these territories are an obstacle to peace. Jewish residence and construction in Judea/Samaria is legal and possess a fundamental legitimacy that poses no obstacle to any realistic peace settlement, were Palestinians ready for one. No peace, or genuine conception of peace, can require that a future Palestinian Arab state be judenrein. “Moreover, these Jewish communities occupy less than 2% of the territory in question. This is not a case of Jewish communities crowding out Palestinian ones. In any future peace agreement worthy of the name in which a Palestinian state alongside Israel is genuinely peaceful, Jews should be able to live in a Palestinian state just as Palestinian Arabs live in Israel. “As we have long argued, the obstacles that stand in the way of peace are not Jews living in Judea and Samaria, nor Israeli security measures that are necessitated by Palestinian terrorism. Jews living in their biblical home pose no obstacle to a peace settlement if Palestinians are ever ready to conclude one. Checkpoints and roadblocks can virtually disappear as soon as Palestinians accept Israel as a Jewish state, arrest terrorists, confiscate illegal weaponry, close the bomb-making factories and dismantle terrorist groups. But until Palestinians cease being raised, educated and nurtured for war, jihad, murdering Jews and destroying Israel, nothing will avail the cause of peace and reconciliation.